Nay Pyi Taw, Myanmar – Royal Philips (NYSE: PHG, AEX: PHIA) today announced it has entered into a partnership with the Yangon Heritage Trust as part of its commitment to build its presence in Myanmar for the long-term. Philips is working with the Yangon Heritage Trust to help highlight and preserve the rich cultural heritage of Yangon through the use of its sustainable LED lighting solutions and make Yangon more livable and attractive for tourism. The partnership was finalized and announced on the sidelines of the World Economic Forum on East Asia, in which Philips and the Yangon Heritage Trust are participating. 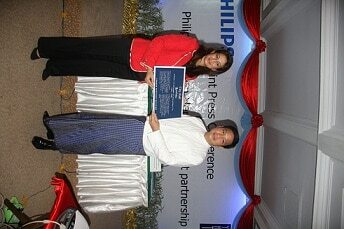 Philips is contributing US$75,000 for the Yangon blue plaques initiative to highlight key cultural heritage sites throughout Yangon, which is the country’s commercial and cultural center. The contribution will support the research and curation of historical sites, and creation and installation of 200 blue plaques that will share the historical relevance and background of key sites across the city. Philips recently conducted a lighting audit of heritage zones in collaboration with both the Yangon Heritage Trust and the Mayor’s office. Philips aims to ensure lighting plays an important role in the Yangon Master Plan, so that energy efficient LED lighting technology can help further conservation, beautification, and sustainability. “Amidst all the changes in Myanmar, we believe it&apos;s critically important to ensure we protect the beautiful and historically important city of Yangon,” said Dr Thant Myint-U, founder and chairman of the Yangon Heritage Trust. "Yangon should become a very modern city, but we must remember, conserve and celebrate our heritage as well. The blue plaque system will play a big role in doing just that, by marking buildings and other places of historical, cultural, and religious importance, not only for tourists but for the Myanmar people themselves. It will be linked to other efforts to revitalise downtown Yangon, create new jobs, and set the stage for sustainable growth. Our partnership with Philips is part of realising our mission to safeguard and promote Yangon&apos;s priceless heritage as part of this great city&apos;s future." Philips has a long history of building partnerships, working collaboratively with governments, NGOs and industry leaders to drive meaningful innovation and benefit the community. Philips’ re-entry into Myanmar across its lighting, healthcare and consumer lifestyle business units reflects the company’s confidence in Myanmar’s long-term business opportunity. In healthcare, Philips is working with stakeholders to help build the country’s health infrastructure. The company has introduced the first PET/CT imaging system to Myanmar, to be installed in Yangon General Hospital, and has started a year-long program of clinical education in association with the Myanmar Radiological Society. In Lighting, Philips is delivering various projects that will provide key sites with energy efficient and sustainable lighting solutions, while the company has opened its first consumer store in March, with several more planned in 2013. The mission of the Yangon Heritage Trust is to promote and protect Yangon’s built heritage as part of a comprehensive urban planning process. We believe that the conservation of Yangon’s unique architectural heritage can play a vital role in making Yangon one of the most livable and vibrant cities in all of Asia. As part of our mission, we will advocate for heritage protection, develop policy options, advise the government, present our ideas to the public, undertake specific conservation projects, facilitate training, and organize studies and conferences.